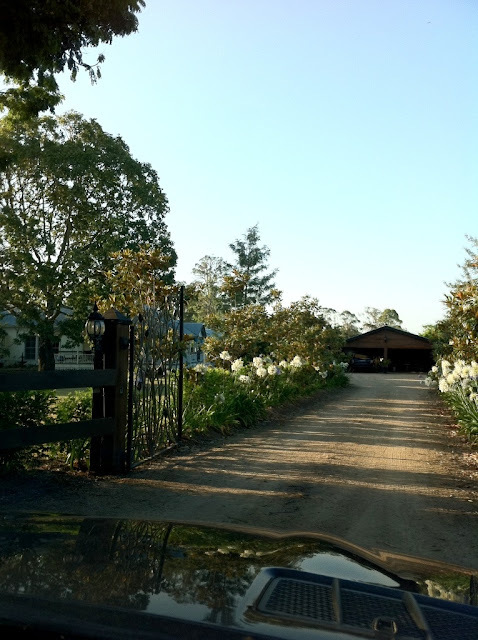 After what has been a kind-of yucky start to the week, today I arrived at the front gates of my clients home and I was greeted with the most beautiful sight...masses and masses of agapanthus in flower. Not only do they line their driveway, they pretty much line their entire property. 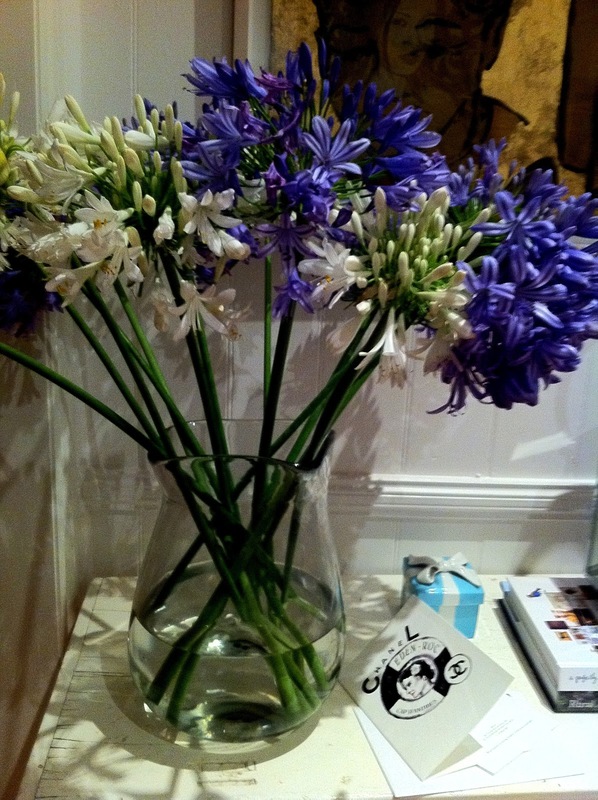 The very generous J wouldn't let me leave without a huge armful of flowers. I was absolutely delighted. They certainly cheered me up. 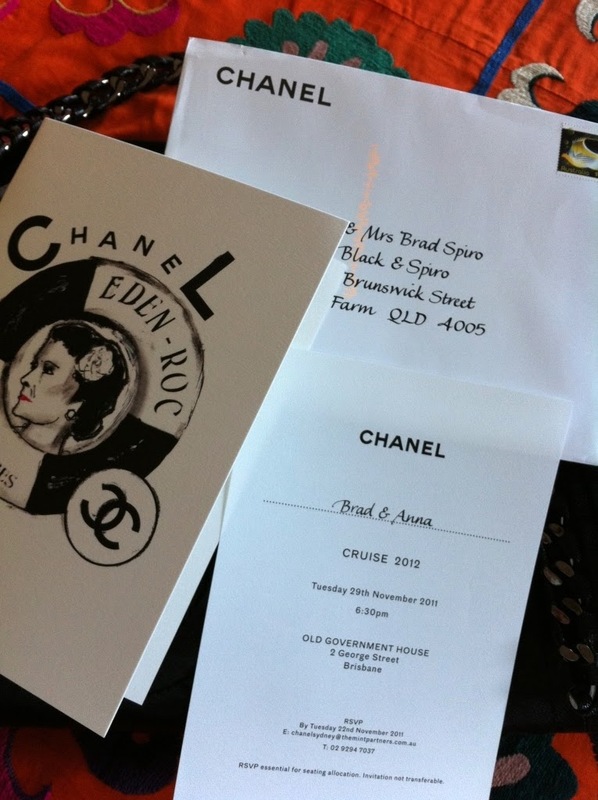 I was thrilled to receive an invitation today to attend the very exciting Chanel party at old Government House in a couple of weeks time. 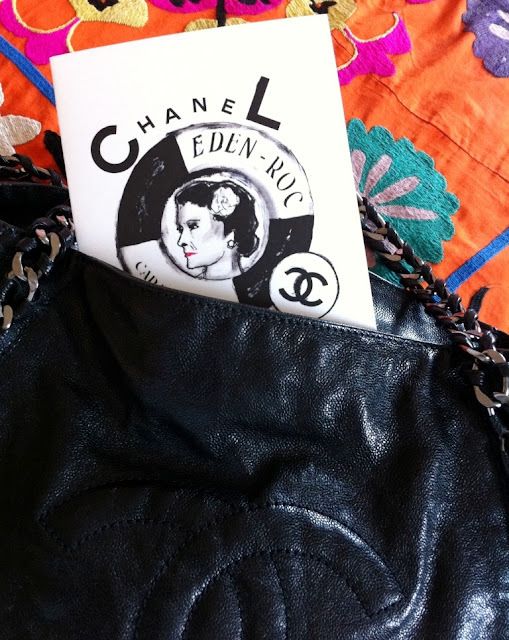 I can't believe little old Brisbane town now has it's very own Chanel store. I tried to visit the newly opened store on Saturday just gone but I don't do queues so I'll be sure to enjoy my visit when the queues slow down. As I go by my maiden name Brad sometimes gets tagged with it too! It was funny to see the address on the invite with him as Spiro! This will be one party we won't be missing. The WHAT AM I GOING TO WEAR conversation has already begun! !